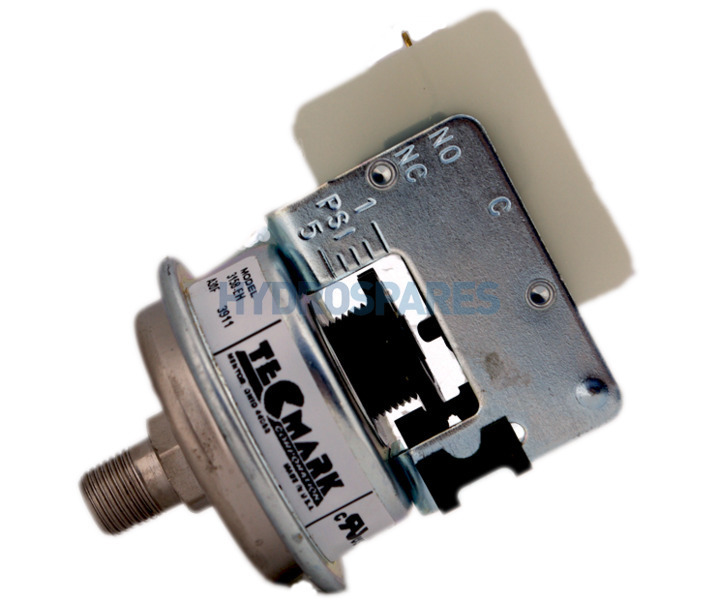 Tecmark pressure switch made for Balboa, designed to fit M3 Heater tubes and can be found on numerous brands of hot tubs such as 'Spaform Spas' and 'Master Spas'. It is a very common universal switch found in the UK which has an adjustable pressure range from 1 - 5 psi and factory set at 2 psi. 1/8" NPT x 2 spade terminals. A failed or incorrectley set pressure switch will result in a flow error message on your touch pad and will not allow the heater to activate! 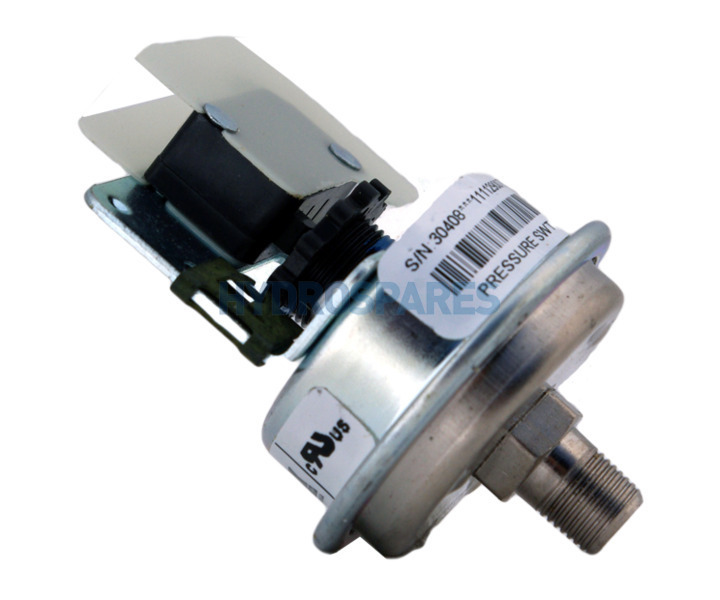 You can easily test for faults with a pressure switch, presuming every other aspect of the hot tub works fine and the filters are clean and you have good water flow, simply loop out your existing pressure switch with a small piece of wire and if the problem is resolved replace for a new switch. As a rule we do not advise adjusting the pressure on your switch as this may mask other faults with your tub.